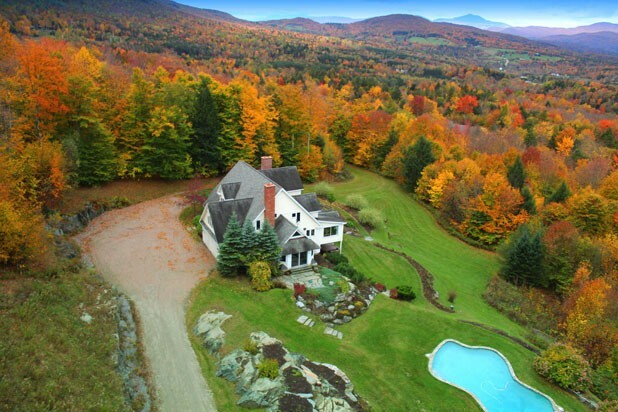 If you’re dreaming of a piece of Vermont paradise to call your own, chances are there’s a house out there for you. And ready to help you find it is a small band of real estate agents who specialize in the luxury market and are adept at discussing the finer points of wine cellars, boat moorings and private tennis courts. These agents say the luxury market is picking up. “I think that Vermont will always carry that mystique, and we will continue to have a cycle of people willing to bear the expenses of owning real estate in Vermont,” said Wade Weathers, the regional manager for residential brokerage at LandVest, a regional luxury real estate agency. In particular, LandVest saw its second-home market — which had traditionally made up 70 percent of the company’s sales — slow precipitously. Buyers who might otherwise have been interested in second homes sat on the sidelines and watched, Weathers said, until the financial forecast began to improve. Even now, some of those buyers — in their fifties and sixties — find themselves with fewer “earning years” ahead of them, and a second-home purchase seems less enticing. And, just as markets are always shifting, so are buyers’ preferences in swanky real estate. Weathers specializes in waterfront properties and classic gentleman’s farms. While the waterfront homes are still extremely desirable, he said, those end-of-the-road farmhouses are less so than in the past. Buyers today want turnkey properties on a ski slope or the water, where they have access to “instant-gratification” recreation in their backyards, Weathers said. For an up-close-and-personal look at Vermont’s high-end real estate market, I headed to one of the state’s toniest playgrounds, Stowe, to meet with the Smith Macdonald Real Estate Group — aka mother-and-son realty team Peggy Smith and McKee Macdonald. 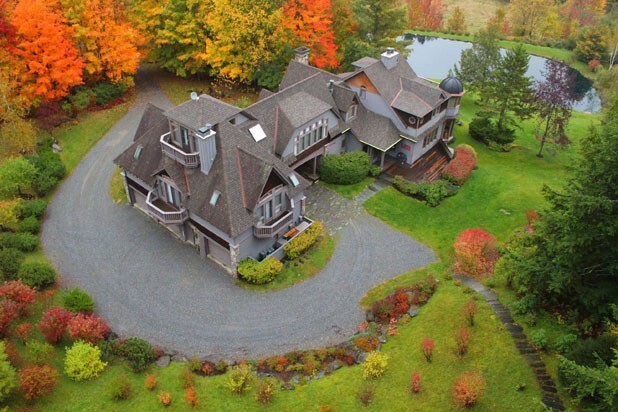 Smith joked that she’s the “grande dame” of real estate in Stowe: She’s been in the business since the 1970s, when “high end” meant a modest (by today’s standards) ski chalet on Mountain Road. Macdonald grew up in Stowe, left Vermont to work in real estate in New York City for 10 years and returned two years ago to step into the family business. Last year, according to an annual report that Smith and Macdonald compiled, 11 percent of all residential sales in Stowe topped $1 million. They estimate that about a quarter of their own business is what they’d call the luxury market, which they define as houses costing at least $900,000. Like Weathers, Smith and Macdonald agreed that residential real estate sales — in both the high- and low-end markets — are bouncing back; total residential sales numbered 74 homes in Stowe last year, the same figure as in 2006 and 2007. The recession was a reality check for some in the market, particularly homeowners looking to unload their expensive properties. Smith and Macdonald noted that it took some sellers a few years to realize that their property investments might not translate into the asking prices they had envisioned. Meanwhile, in recent years prospective buyers have become savvier. “They wanted a deal — a real deal,” Macdonald said, and those buyers were willing to hold out on purchasing when they suspected they weren’t scooping up a luxury home at a (comparatively) low price. Both factors — higher-than-realistic price tags and bargain-hungry house hunters — combined to slow down real estate movement during the worst years of the recession. The Stowe market reached the bottom in 2009, when just 47 residential properties traded hands. Smith took the lead as we set off to explore two properties in Stowe’s upscale neighborhoods. Turns out, taking a spin through the town with her is almost as illuminating as poring over property-transfer data at the town clerk’s office. As she navigated the streets in her Subaru Outback, Smith casually pointed out various properties she’d sold and rattled off their prices: $2 million here, $3 million there. She’s been inside so many Stowe homes that, at dinner parties, Smith often finds herself showing other guests where the bathroom is. 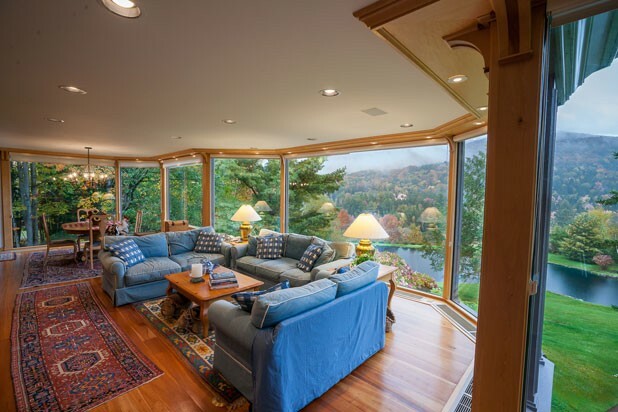 Our first stop was a nearly 7000-square-foot home in the Stowe Hollow neighborhood, on the market for $2.15 million. The big selling point here, as Smith sees it, is the floor-to-ceiling windows. To demonstrate, she pulled up the blinds on a few, exposing views out to Stowe Pinnacle, but left the rest shut. With 56 windows in the house, it takes her a half hour to open the blinds before a showing — and just as long to close up shop afterward. Smith urged me into what she called her favorite room in the house: an enormous walk-in pantry the size of my own kitchen, where we both ooh’ed and ahh’ed over the storage space. We peered out at the decks that jutted from several of the house’s six bedrooms and admired a stone gazebo with an enormous fire pit. I trailed Smith as she padded around the house in her Darn Toughs, peeking into closets and bathrooms. Because the owners still used the vacation home, it remained fully furnished, with the occasional family photo or trinket displayed on a bedside table. The owners had, however, followed Smith’s advice to purge the house of most of their visible personal paraphernalia, making it as easy as possible for prospective buyers to envision themselves there without interference from another family’s private life. Even so, Smith confided, many buyers are picky and fickle, easily turned off by a property because they don’t like the current owner’s choice of sofa. That led Smith to mention a curious quirk of the luxury real estate market in her neck of the woods. Even clients who have near-boundless resources and easily could embark on dramatic renovations or redecorating sprees, she said, rarely want to take on a major project. If the tile or paint color in a home isn’t just right, many people will keep looking. Smith herself has never had that problem. An art teacher before she entered the real estate biz, she said she’s always had a knack for imagining the design or decorating possibilities of a home. “I’m probably a frustrated architect,” she confided, after relating one story about taking a crowbar to a ceiling in one of her first residences to expose the beginnings of a cathedral ceiling. Her job, as she sees it, is to help buyers imagine the possibilities of a home. Our second stop was a $3.8 million home on 82 acres in the Taber Hill neighborhood — with some of the best views in Stowe, Smith promised. Sure enough, after we wound our way up the mile-long driveway, we were rewarded with a sweeping vista stretching from Camel’s Hump to Mt. Mansfield, with Trapp Family Lodge visible in the distance. A thick layer of snow hid the swimming pool, but Smith pointed out another recreational perk: a fronton, the walled court used to play a handball game known as Basque pelota. The house wasn’t more than 20 years old, but a few reclaimed posts and beams accented its open floor plan. This felt like a rustic mountain getaway, just right for an après-ski feast among friends, with a gorgeous wine cellar to augment the festivities. 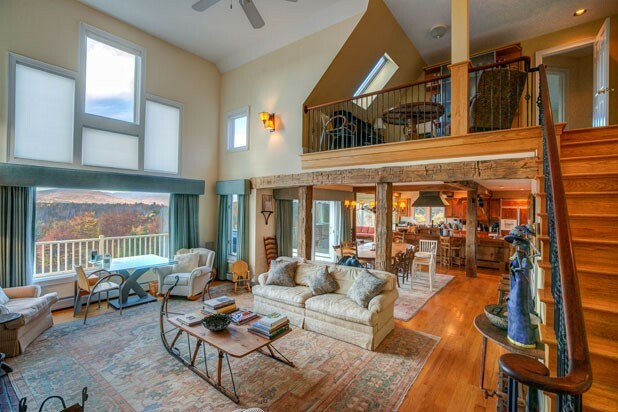 In Smith’s experience, she said, few of the high-roller buyers looking for real estate in Stowe gravitate toward historic properties. More modern homes, outfitted with luxury amenities, move faster on the market. Customers want at least five or six bedrooms — and as many bathrooms. They’re looking for open floor plans, “drop-dead views” and high ceilings — not exactly the forte of rambling old farmhouses. Nothing too quirky is desirable, Smith said. “Unless they find that perfect combination, they won’t buy,” she said. “You’re going to get the same level of service if you’re buying a $100,000 home or a $3 million home,” she said. One difference? With the former, you can probably count out the wine cellar.